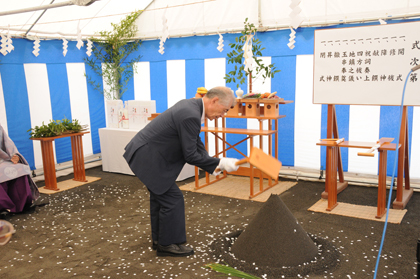 Dr. Tasuku Honjo served as the third Chairman of the Board of Directors of the Shizuoka Prefectural University Corporation (April 2012–April 2017), and he currently serves as an advisor to the Corporation. 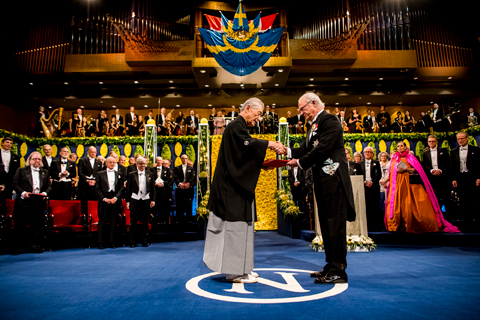 On December 10, 2018, Dr. Honjo attended the Nobel Prize award ceremony in Stockholm, Sweden, where he received a medal and certificate for the Nobel Prize in Physiology or Medicine. 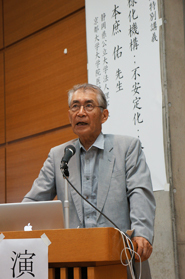 Dr. Honjo earned his MD and PhD (1975) from Kyoto University. 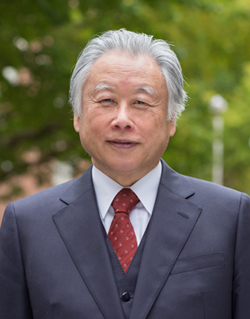 In addition to currently serving as an advisor to the Shizuoka Prefectural University Corporation, Dr. Honjo is a Professor Emeritus at Kyoto University and Director of the Fujinokuni Regional Medical Support Center. ※The penned message that Dr. Honjo donated is a copy of the penned message that he donated to the Nobel Museum. 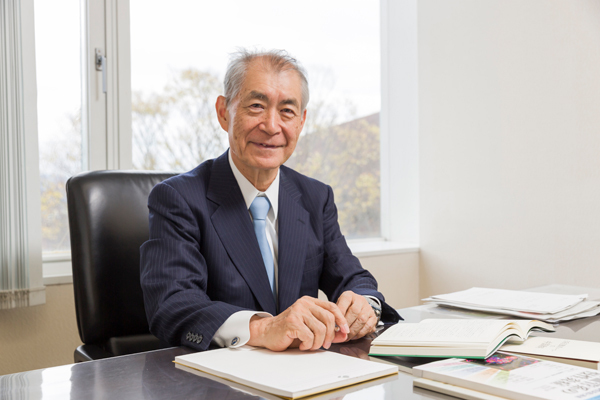 An advisor to the University, Tasuku Honjo was awarded the 2018 Nobel Prize in Physiology or Medicine for development of cancer immunotherapy. 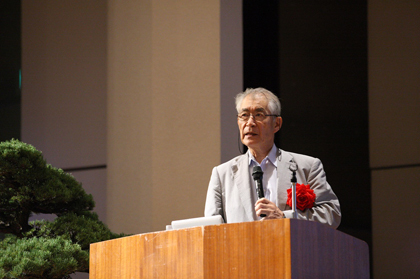 Dr. Honjo has received a number of academic awards such as the Asahi Prize, the Imperial Prize of the Japan Academy, the Tang Prize, and the Kyoto Prize. 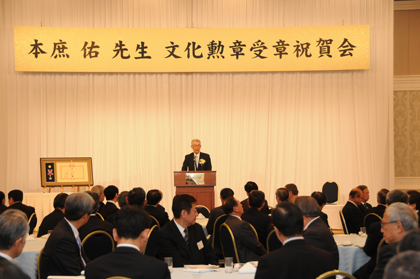 In addition to being awarded the Order of Culture, Dr. Honjo received the prestigious Nobel Prize. The University sincerely salutes him for his achievements. 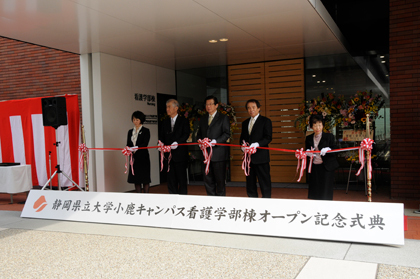 Dr. Honjo served as Chairman of the Board of Directors of the Shizuoka Prefecture Public University Corporation from April 2012 to April 2017. 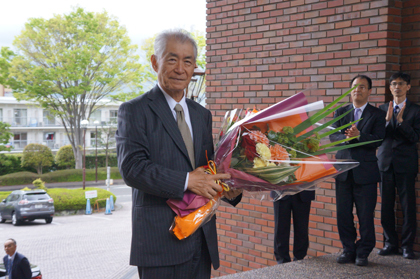 For 2 of those years, I had the opportunity to serve under Dr. Honjo in university administration. During that time, my encounters with Dr. Honjo gave me the sense that I was staring up at the heights of Mt. Fuji, with their broad, sweeping vistas. I saw aspects like Dr. Honjo’s meticulousness and his stern demeanor like a samurai as well as his passion for golf, hanging out in a pub, and a thirst for knowledge ranging widely from history to international politics. 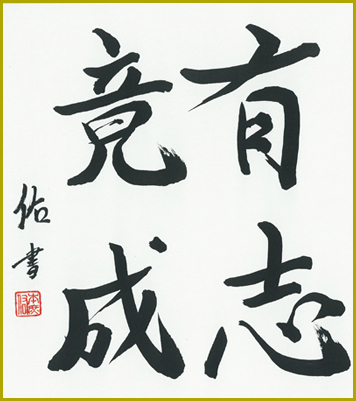 After receiving the Nobel Prize, Dr. Honjo remarked in an interview on the importance of seeing the unusual, not tacitly accepting what is written in textbooks, always questioning, and looking into things for oneself. Dr. Honjo’s Nobel Prize is a great honor for the University, which is fostering personnel who will help improve the health of the community, and it’s probably a huge encouragement to teachers and students. We sincerely hope for Dr. Honjo’s continued health and success.